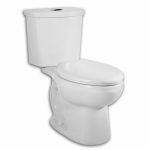 American Standard toilets are not new to the market. They have been around for many years creating ceramic household items that truly work the way they are supposed to. The same can be said about the FloWise toilet. 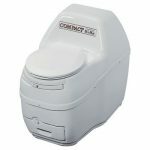 If you are looking for a truly great toilet, perhaps you should consider the one that has many people taking notice of the new American Standard. If you still need a little persuading, you can read our review. 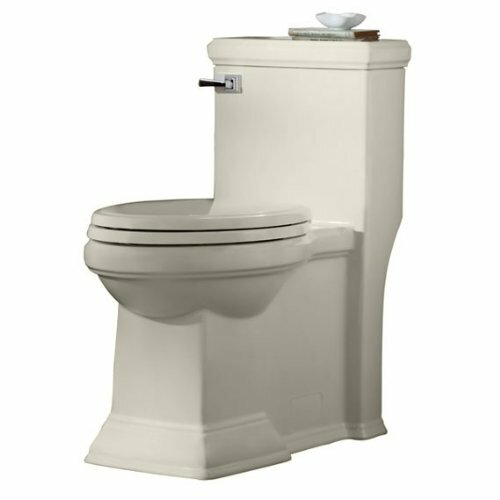 This is one unique toilet that truly looks like a throne. Where other toilets may show you the path that the water takes on its way out to the septic tank, this toilet looks more like a chair. 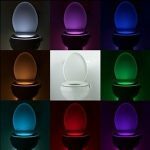 This gives it a unique style that will appeal to a lot of people who want something different for their bathroom, without going to extreme measures. 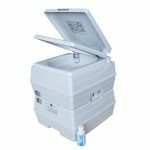 The FloWise is toilet is elongated and available in white or linen. 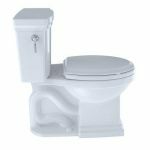 It is designed with a right-handed flush and it is the right height for most people. It has a rim height of 16 1/2”. This makes it ideal for anyone who has trouble getting up from the standard toilet. 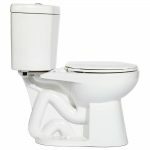 This elongated toilet uses a siphon action jetted bowl and a powerwash rim. This means that water flows quickly out of the rim’s underside so that all waste is washed away quickly with each flush. 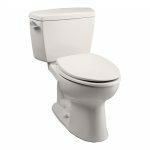 To further enhance the cleansing flush, the entire toilet is coated with an EverClean surface. Can you imagine being able to go longer without having to get out your toilet bowl brush? 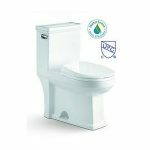 It does need a 12” rough in and uses only 1.6 gallons of water per flush. It features a 3” flush valve when most other toilets use a 2”. Do Owners Love this American Standard? This toilet has a lower rating average than the H2Option toilet by﻿ American Standard. This is mostly because people say that it is somewhat hard to install. 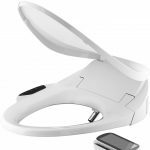 Some people also feel that it is overpriced for what you are getting, which is a basic toilet that looks more interesting than serviceable. 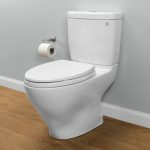 With all of that, there is still an outstanding 67% of people who say that this is the best toilet they ever purchased and it still rates a 4.1/5.0 on Amazon. They say that they do not regret their decision at all. They like how easy it is to maintain and how well it flushes out when they are finished. Many of these same people have been using this toilet for a few years at the time of their reply. This proves, beyond all doubt, that most people love it. Is the Town Square Worth the Price?